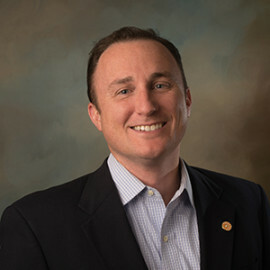 Gary Sheehan is the President and Chief Executive Officer of Cape Medical Supply. In this role he oversees all operations of Cape Medical Supply with particular focus areas of strategic planning and partnerships, Lean process improvement, mergers and acquisitions, financial management, and on maintaining the highest service levels possible. Active in the community, Gary served as a member and past Chairman of the Board of Directors of the Cape Cod Chamber of Commerce, is a past Chairman of the Board for Home Medical Equipment and Services Association of New England (HOMES), former Board member of Cape and Islands United Way, and previously a member of the Steering Committee for Cape Cod Focus. Gary is also one of the founding members and a previous Board member of Cape Cod Young Professionals. Gary also provides consulting expertise to numerous analysts and financial services corporations on the home medical equipment and home respiratory care industry and is frequently quoted in industry publications, the local media and has spoken at national conventions, to groups of investing professionals, and to federal and state legislators on the state of affairs in the home medical equipment and respiratory care industry. He’s presented to regional and national audiences at Medtrade, The HME Summit, Investment and M&A Opportunities in Healthcare, The Home Medical Equipment and Services Association of New England, and The VGM Platinum Executive Education Conference. Past topics have included Lean process improvement, Strategic Planning, general M&A outlook and “The New Normal” in a post competitive bidding world. Gary was elected Director in April 14, 2011 and is Chair of the Loan Committee and Strategic Planning and Technology Committees. He is a graduate of Boston College and earned his MBA from Suffolk University. He now resides in West Barnstable with his wife and son.